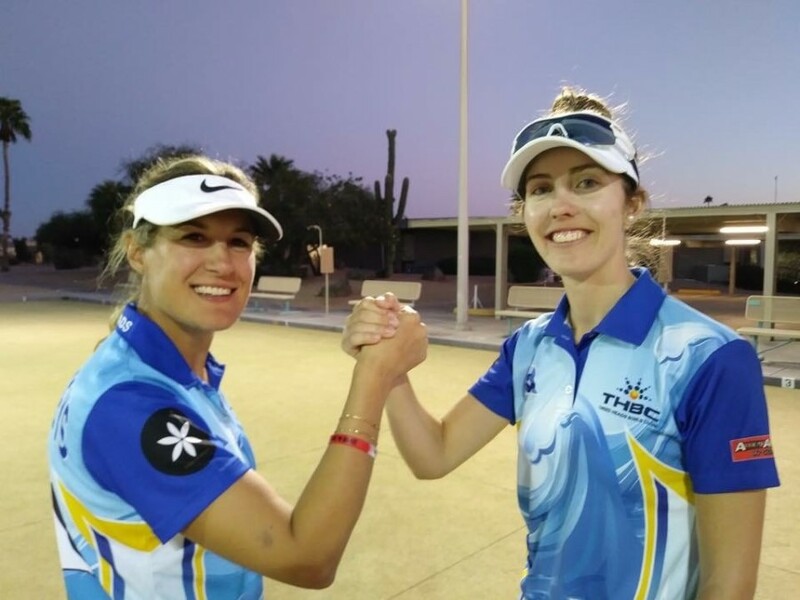 Chloe Stewart has added to her very impressive list of local, district, state and national lawns bowls achievements by capturing the 2019 American singles and pairs titles. While Bowls Australia was unable to confirm that the 22 year-old who spent so much time honing her skills on the Kyneton green is the first Aussie to win the USA women’s singles, it seems most likely this is the case. Chloe was judged female Bowler of the Tournament at the Bowls USA Open championships held at Sun City in Arizona hosted by South Central Division. It is not known if USA president Donald Trump or his aides have sent a congratulatory twitter message Chloe’s way! Chloe is now assistant manager at Tweed Heads Bowling Club, building on her move north which originally took her to Breadbeach Bowling Club in a bid to enhance her prospects for selection in the 2018 Commonwealth Games side which played at that venue earlier this year. While missing out on selection, Chloe has been a member of the Australian champion fours side for the past two years, and has just been selected by Bowls Australia to partner Lynsey Clarke in the prestigious Burnside Pairs Championships in New Zealand in January. She is presently number five in the women’s bowls individual rankings in Australia, and number one in Queensland. Why the USA? How did Chloe end up playing in the USA Open? A case of combining bowls with a much anticipated holiday. 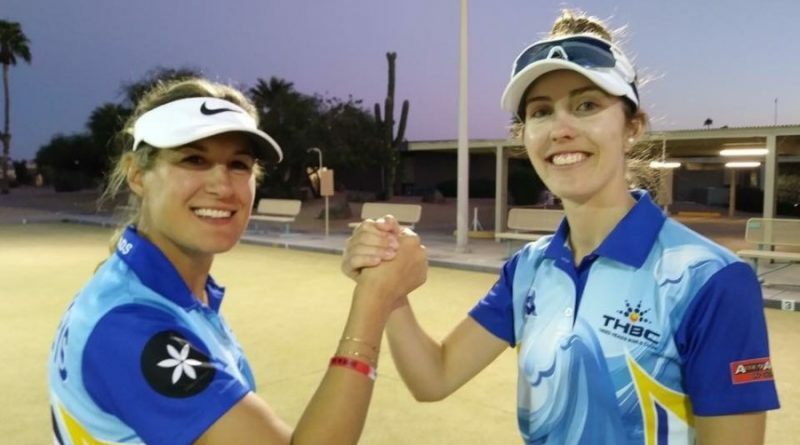 About two years ago, while playing in an international tournament in Hong Kong, Chloe struck up a friendship with Donna Knight, one of the United Kingdom’s top bowlers (English champion in 2016). They vowed to eventually team up in a tournament together, and six months ago entered the big USA event. And Chloe’s summation of the Arizona outcome: “Had a great time!” There was time to visit Las Vegas and other American tourist destinations before returning to Australia a couple of days ago. To win the singles, Chloe had to survive win six successive knockout matches on greens varying in texture and pace. A couple of matches were close, but she displayed peak form in the final by defeating American opponent Marita Nierth 21 shots to four. One of the favourites, American national champion Anne Nunes, was eliminated in an early round, and Knight lost by a shot in the second round. Chloe was thrilled to win the singles, and the pairs was the next challenge The Knight-Stewart pairing proved formidable, and they won the pairs final 19-14 to earn the plaudits of Bowls USA and cap off a tremendous week. There were bowlers from 12 countries other than America competing. 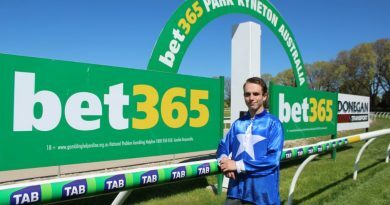 Kyneton’s Jenny Stewart (Chloe’s mum) and grandmother Val Carey were specially thrilled to receive updates on the USA events. Kyneton Bowling Club members also add their plaudits, as does the Central Highlands Bowling Division. Social media has been bombarded with congratulatory messages. It’s worth remembering Chloe was only nine when she first began rolling bowls around the Kyneton green, drinking raspberry cordial and being introduced to the chocolate dispensing machine. No-one could predict then she would reach such heights, but a love of the sport, natural talent, high concentration levels, detailed coaching, a flawless delivery, Henselite sponsorship and the opportunity to play with and against quality players have all been positives which have seen Chloe in the Victorian, Queensland and Australian colours. Legendary Kyneton bowler Ross Oliver (who represented Victoria) was an early mentor for Chloe when she began to show bowls could well be her game. Runner-up to number one Aussie Rebecca Van Asch in the Australian indoor singles final this year was one of her best performances, and back in 2013, she took out the Victorian Under 18 and open singles titles. 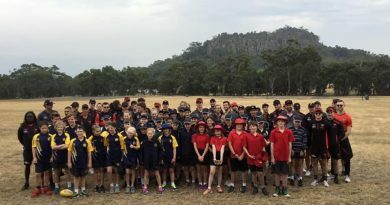 The main downstairs room at Kyneton Bowling Club is named in her honour, and youngsters taking up the sport may well gain inspiration from Chloe’s photo in Australian colours on the wall. At 22, Chloe’s best at international level should be ahead of her, rather than behind.